Now that 2012 has come to a close, it’s fun to look back at all that happened last year. Here are my top five most popular posts from the past year. Did you catch all of them?! This post discussed one of those little a-ha moments for Adam along his journey this past year. Be sure to keep checking back at least monthly for updates as he discovers what God is asking of him in regards to his music. I was so excited when I found out about Dignitas Magazine last summer! Then, I was able to interview the founders of the magazine for this blog! How awesome! Thanks again, Abby and Catherine! 3. 7 Quick Takes #2: Dreamer in the Spotlight Edition! So many inspirational people in one post! And quite a variety! Half-way through 2012, I set some simple goals for myself regarding the blogging world. 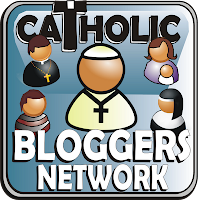 I began posting weekly, following other blogs on a regular basis, and I started participating in a link-up on occasion which has allowed me to get to know so many great Catholics via the blogosphere! This was one of those posts. Words can be so powerful! I love coming across great words of wisdom. This post includes some of my favorites so far! Apparently, other people like words of wisdom, too! Can’t wait to see what God has in store this year! What are you looking forward to in 2013?